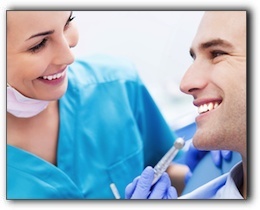 First off, if you need dental treatment, oral sedation dentistry allows you to sleep during the procedure. There are several levels of sedation – you can remain conscious or take a trip to la-la land. Schedule a consultation with Dr. Gordon West for more critical details about sleep dentistry. If you have a bad memory of hurting for days after a procedure, relax. Improved painkillers, lasers, and advanced techniques have reduced the pain experienced by Gordon West DDS, Cosmetic & General Dentistry patients. If you need extensive treatment, we will create a pain management plan to ensure that you remain comfortable. Dr. West can perform procedures much quicker with today’s extremely precise dental instruments. Healing times for oral surgery are also much shorter. You don’t have to live with gaps in your smile, sore gums, stained teeth, or a toothache. We can take care of all your dental problems. We will help restore your oral health to improve your quality of life and prevent dental problems from affecting other parts of your body. Today’s Lafayette dentistry is not your father’s dentistry. We invite you to discover why you shouldn’t avoid the dentist any longer. We look forward to meeting you. Call Gordon West DDS, Cosmetic & General Dentistry today at 720-862-3630. Worried About Dental Visits In Lafayette, Colorado?